The injured worker, you learn, was supposed to be covered under your sub’s DBA insurance. It is right there in black and white in your contract, which was approved by the agency’s Contracting Officer. Your insurance archive shows the subcontractor duly provided you with a certificate of insurance—but not the insuring agreement—at the contract’s inception 14 months ago. That’s where the paperwork ends and your troubles begin. Lesson One: Demand a copy of the sub’s insurance policy whenever possible, taking notice of the expiration dates and satisfying yourself that the coverage provided is as represented. Under the comprehensive scheme set forth in the Defense Base Act, Congress established far-reaching worker protections to facilitate hiring of overseas civilian workers assisting on government contracts, national defense service contracts, and U.S.-funded public works and service projects (think the USO). Both U.S. nationals and foreign nationals are included in the protections unless a waiver from the Secretary of Labor is in place. The DBA applies to worker injuries or deaths whether or not in the course of employment and even outside of regular work hours. When assigned to dangerous locations, even recreational activities of the employee are sometimes compensable under the DBA. The DBA makes the prime contractor a “deemed employer” of the subcontractor. This DBA safeguard is a brutal trap for the unwary, under which an uninsured or underinsured subcontractor’s employee becomes the statutory employee of the prime contractor. Ultimately, the DBA shifts the burden of loss to the “employer” for benefits and obliges the employer (that is, the prime contractor) to secure those benefits with insurance coverage. Such insurance coverage is readily available on the market from an approved list of insurers. In fact, fourteen months ago, the subcontractor bought and paid for it, but neglected to renew it—so it expired a month before the fall happened. Making matters even worse, the president, treasurer and secretary of the prime contractor are now (1) severally liable for a fine of $11,000 and potential imprisonment; and (2) jointly liable to their involuntary employee for the benefits when there is no insurance in place. The forthcoming tort lawsuit is a lawyer’s dream—the deemed employer, by statute, waives all the normal tort law protections, including scope of employment, the workers’ comp bar, assumption of risk/contributory negligence, and borrowed servant. Essentially, under this regime the prime contractor (and the sub) is nearly strictly liable for all provable damages by the plaintiff. The employee is put to the simple choice of either capped statutory damages or lucrative common law tort remedies. Yes. Your company may have rights against its subcontractor—if it is solvent and capable of paying a judgment and defending the claim. But if you do not pay the injured worker benefits right away while that mess is straightened out, the government will come knocking, asking for proof of your DBA insurance. The government may withhold your receivables and could even terminate your prime contract. If you were fortunate enough to have procured the right prime contractor insurance, you may find there is coverage for this nightmare subcontractor scenario. Regardless of the subcontractor’s issues, prudence dictates you should quickly make a tender of the claim to your own DBA insurance carrier. In due course, the insurance company will either appoint defense counsel—leaving you in the clear—or they will send your company an LS-207 “Notice of Controversion,” claiming there is no coverage because the subcontractor was uninsured. Coverage can perhaps be found for the DBA-deemed employee under other provisions of your prime contractor insurance policy. For example, in a standard workers’ compensation insuring agreement with a broad DBA endorsement, the insurer may have agreed to the following provision: “We will pay promptly when due the benefits required of you by the workers’ compensation law.” If notice is tendered, the carrier may step up and cover your company for this unexpected exposure. In some cases, the DBA insurance provisions are appended by endorsement to a broad(er) workers’ compensation insurance policy. Among the potential DBA coverages available to prime contractors are additional insured endorsements. These endorsements can, for an extra premium, of course, be underwritten as “blanket” insurance for all subcontractors working on the prime contract. As a potential alternative, a schedule of subcontractors may be listed as amended from time to time, usually reported quarterly, identifying the contracts specifically and the responsibilities to which subs are assigned. In any case, hypervigilance is required to monitor and request updates on the state of your subcontractor’s insurance, including requiring electronic notices of cancellation or non-renewal and creating your own tickler based on a review of the subcontractor’s insurance policy’s inception and expiration dates. Failing either of these potential avenues of coverage, prime contractors are advised to obtain broad “insured contract” endorsements as part of their DBA insurance. Under an insured contract endorsement, coverage may drop down to fill in some gaps—like the cringe-worthy subcontractor dilemma presented above. For example, a prime contractor can purchase insured contract coverage for “liability arising out of the Named Insured’s contract(s) that require coverage under the Defense Base Act, 42 U.S.C. §§ 1651-1654.” Note that virtually all limitations and conditions to coverage that otherwise apply to a direct claim for insurance by the insured also apply in contractual liability insurance. Prompt notice, incident reports, and effective communication are essential when a claim surfaces. The best route to covering your assets is to contact, and engage frequently with, reputable coverage counsel—explaining your business model and wants and needs carefully. Adept coverage counsel can work hand in hand with the broker to rectify a denial or assist you in evaluating or testing your DBA program. Professionals are available to you to check for gaps, militate against the unexpected, evaluate the efficacy of your coverage, and advocate for enhancements and decreased exclusions from your insurance carrier at, or even before, renewal. Once the claim comes in it could simply be too late! 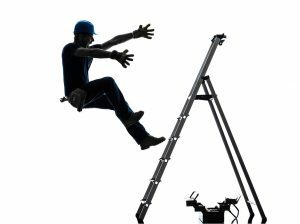 Based on the DBA’s sharp, unforgiving “teeth,” it behooves prime contractors to evaluate their DBA and workers’ compensation coverage proactively, and create an insurance procurement and monitoring SOP to be sure you don’t fall … down, down, down the ladder.